Post-Brexit: What's holding up a trade arrangement between SA and the UK? There is a risk of the UK dumping its poultry products on SA's market, in the case of a no-deal Brexit, the FairPlay Movement has warned. The not-for-profit trade movement on Friday issued a statement warning of the drawbacks for SA's poultry industry in the case of a no-deal Brexit. "South Africa may have to guard against a renewed flood of 'dark meat'," the statement read. 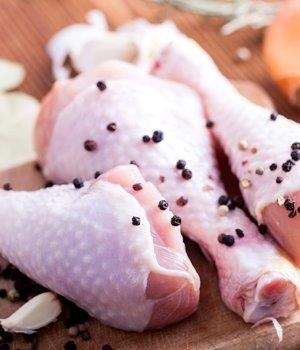 Dark meat is mainly the leg quarters, drumsticks and thighs of the poultry. "A lot of the UK’s 'dark meat' currently goes to EU markets. If Britain crashes out of the EU without a negotiated exit deal, these markets could close and UK producers would be looking for alternative export opportunities," FairPlay explained. FairPlay labeled the imports as "job-killers". "As part of a negotiated fair deal, UK exports of dark chicken meat should be limited or subject to an agreed quota," Francois Baird, founder of FairPlay said. On the flipside, there could be an opportunity for SA to export poultry to the UK, FairPlay suggested. SA's poultry products are cheaper than any EU countries, but because of the EU's sanitary and phytosanitary measures SA poultry has been blocked from the market. Once the UK leaves the EU, it presents a new market for SA poultry exports, FairPlay explained. "South Africa should be looking to negotiate a deal with the UK to ensure that SPS measures are not unfairly used to keep our chicken out of UK shops," Baird said. "That would give workers in our poultry industry something to celebrate – breast meat in particular sells at a premium and South Africa can supply this at competitive prices." Baird added this could lead to new jobs in SA's poultry industry. All this depends on the trade deal SA negotiates with UK, following Brexit. Earlier this week, Trade and Industry Minister Rob Davies held a briefing where he explained SA government has been in discussions to secure a trade arrangement to avoid disruptions in trade flows as the UK transitions out of the EU. SA wants to roll-over an existing agreement between the Southern African Development Community and the EU, to a separate agreement between the UK, Mozambique and the Southern African Customs Union (SACU) of which SA is part, Fin24 reported. Reaching an agreement would be mutually beneficial for both countries, Davies said. A no-deal Brexit means that trade arrangements would revert to those set out in the World Trade Organisation, which would mean higher tariffs than the existing trade agreement, he explained. Failing to secure a bridging agreement, SA could also opt to trade with the UK based on tariff schedules, but this will only apply for 12 months. This arrangement could have benefits for some product lines, Davies said. For example, there will be no tariffs on wine, however exported vehicles would be hit with tariffs of 10%. An interministerial meeting between members of SACU, Mozambique and the UK was held on Friday to iron out details of the proposed trade arrangement. The department of trade and industry is yet to release an update on the progress made from these talks.